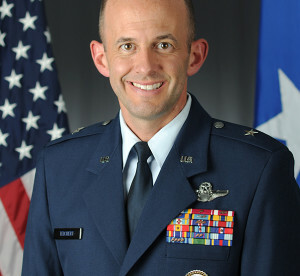 Commander, 412th Test Wing, Edwards AFB, Calif. In 1992, I took a day off from my summer job at McDonnell Douglas to make a quick visit to the famed Edwards Air Force Base. A decade later I arrived to begin Test Pilot School. I finished the course, and remained for another few years to be a part of F-22 developmental testing. I left for two years and returned back for three more. Though I didn’t have the benefits of seeing everything that was done on this hallowed ground during those two assignments, I was again humbled and amazed that I had been able to play a small part here at The Center of the Aerospace Testing Universe. Three months ago, I drove through the north gate to begin this current assignment. As I drove by the “Welcome to Edwards” sign, a wave of emotion swept over me. I was overwhelmed, humbled, and amazed that I was again back at The Center of the Aerospace Testing Universe. Every day since then, I have seen the men and women of Edwards Air Force Base in action — in every corner of the base and in every part of the wing. As I watch and admire their professionalism, I have been humbled and amazed as they provide world-class test and evaluation for the warfighter. They have proven beyond a doubt during these past months what it means to be at this historic and meaningful location. It is the dedication, enthusiasm, professionalism and expertise of our active duty and civilian workforce that ensures our place at The Center of the Aerospace Testing Universe; not just because of our storied past but because our impactful present. We aren’t just admiring past history, but we are making history today. Of course, being at The Center of the Aerospace Testing Universe is not the end, but a means to an end. We are here to test tomorrow’s technology today … for the war fighter. We plan test and evaluation for the war fighter; we support testing for the war fighter; we execute it for the war fighter and we report on it for the war fighter. We deploy for the war fighter. We maintain full spectrum readiness for the war fighter. We support joint partners and allies for the war fighter. We work closely with our community partners for the war fighter. We break barriers for the war fighter. We innovate better than anyone else on the planet for the war fighter. 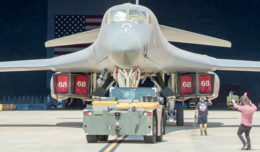 Edwards Air Force Base is world renowned because of what we do for the war fighter. 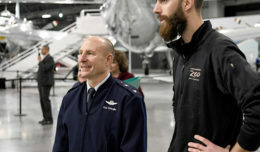 The 412th Test Wing has an oversized influence in shaping the current and future capabilities of America’s arsenal because of the substantial value of test and evaluation in molding our nation’s military capabilities. In the end, we continue to be at The Center of the Aerospace Testing Universe in a way that is critically important and relevant because of the history-making impact that our force makes every single day…for the war fighter.